Home > Games	> New Kindle apps! Games and Interactive Fiction! New Kindle apps! Games and Interactive Fiction! ‘The Hardest Game (A Number Puzzle for Kindle)‘ by Nice Games is available on the Amazon Kindle site for $0.99. Just click here to download! Will you solve this numerical puzzle? The Hardest Game lives up to its name. 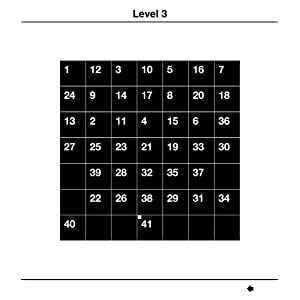 This is a puzzle game, which might seem simple on the surface but can become very hard to solve. The goal is to place numbers on the board. You start with a 5 x 5 board and must place numbers from 1 to 25 on it. When you finish a level, the board size increases and so does the amount of numbers you need to place. There are two kinds of moves you can make – an L-shaped move or a bridge move. The game is finished when the board is full. While the first two levels might seem easy, the rest is quite difficult and requires a lot of strategy. Will you be able to solve all the puzzles? Challenge yourself! Puzzle lovers of all ages will enjoy this game! ‘Mystery Castle: Web of Confusion (A Game for Kindle)‘ by Runestone Games Limited available on the Amazon Kindle site for $1.99. Just click here to download! Monty is back to save yet another castle besieged by an evil foe! An exciting new feature to the series, Monty is capable of transforming into various creatures and must use each of their different abilities to complete his quest. Fly across the room as a bat, transform into a spider to creep through small holes or become the mighty troll and use his massive strength to forge a path to the exit. To get through 32 stages of puzzles and adventure Monty will also have to gather keys to unlock doors, press switches to create paths, push bombs to explode obstacles and slide across slippery ice. Just be careful not to fall into the abyss! 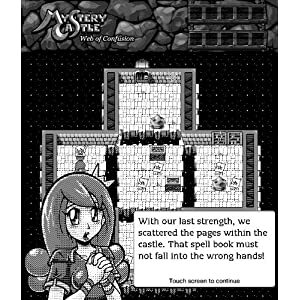 Mystery Castle: Web of Confusion is suitable for people that like brainteasers, puzzles and adventure. A tutorial and hint system welcomes newcomers and means you’re never stuck. Can you solve the mysteries of the castle and defeat the evil boss? Monty is counting on you! ‘infix: The Awakening (Interactive Fiction for Kindle)‘ by black belt games is available on the Amazon Kindle site for $1.99. Just click here to download! 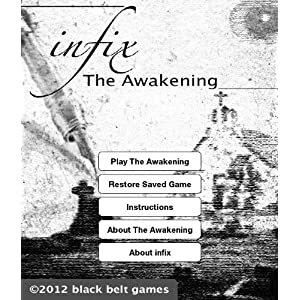 infix: The Awakening is an interactive fiction in the tradition of classic text adventures. Interactive fiction games are text adventures in which the player uses imperative commands to control characters and influence the environment. infix: The Awakening is based loosely on several stories by H.P. Lovecraft. You remember darkness. And the cold. Cold and darkness. And silence. Those memories are all that you have. That, and a feeling that something you never knew you possessed has been lost. ‘infix: Fail-Safe (Interactive Fiction for Kindle)‘ by black belt games is available on the Amazon Kindle site for $1.99. Just click here to download! 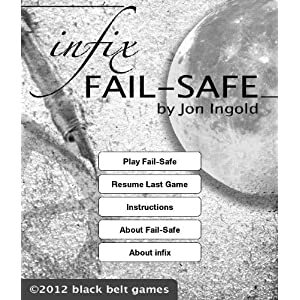 infix: Fail-Safe is an interactive fiction title by Jon Ingold in the tradition of classic text adventures. Fail-Safe uses an innovative approach to interactive fiction, framed as a radio-conversation with the game’s protagonist. It was nominated for Best Non-Player Character on its release. 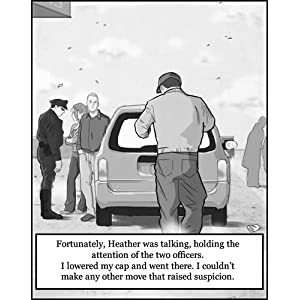 ‘Messages from the Future Part 1 (An Interactive Fiction Series for Kindle)‘ by brainy4fun is available on the Amazon Kindle site for $2.99. Just click here to download! Messages from the Future Part 1 is the first installment of a game book completely different from anything you have seen before! The human race is facing extinction in the very near future, unless brave individuals step forward to stop it. Are you one of these people? We dare you to find out. If you decide to accept this challenge, you will find yourself in the midst of an adventure that will take all of your wits and courage to survive. Throughout the story you will receive messages which you must decipher, and puzzles you must solve. If you answer them correctly you may just be one of the ‘chosen ones’. This is not a Choose-Your-Own-Adventure book, but an Interactive story. There is only one way to reach the end, and in order to do so you will have to make a series of decisions that will either lead to victory or a dead end. So, think and make the right choice based on your best judgment. Play Messages from the Future and discover what the Future holds for us. Maybe you can change the future! Hi – I would do anything to start making these types of games for Kindle. Can you help me understand the best way to start? I don’t want to waste time with the wrong stuff, just looking to make Kindle games!